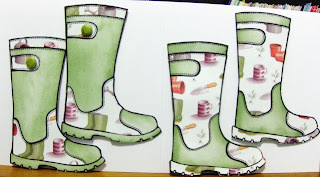 Just had to share piccies of my favourite new stamp - It's a Wellington Boot Stamp by Woodware (available from Bee Crafty in Bidford). 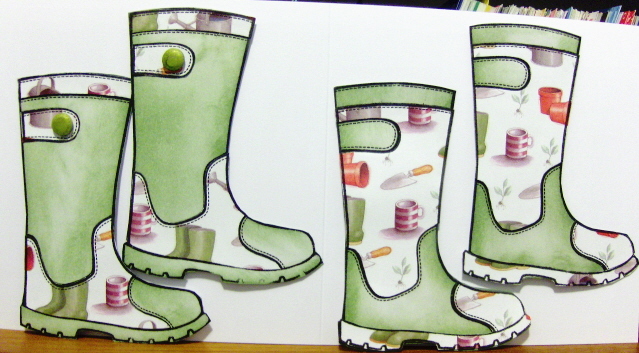 The stamp is just over four inches tall and is so easy to personalise. Just stamp your image onto plain card and colour in with your Promarkers or Distress Inks, or just simplystamp your image onto patterned card or paper and cut out the various sections to decorate your boot. 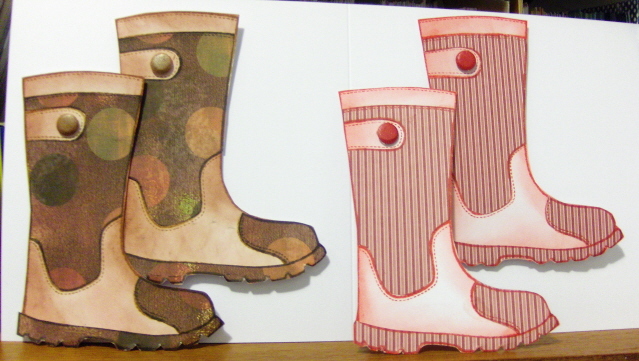 I haven't decided what kind of greetings card I will make out of these as yet, but what I do know is that I will have fun making them!